What goes on behind your four walls requires a lot of planning. Here’s how to get your systems straight. First get a licensed electrician involved early in your planning process — preferably someone who has worked with structural insulated panels (SIPs), as the solid-core wall systems used to enclose a timber frame present some challenges not found with conventional construction. Go over the plans and identify where your fixtures and outlets will be placed so everyone is on the same page. 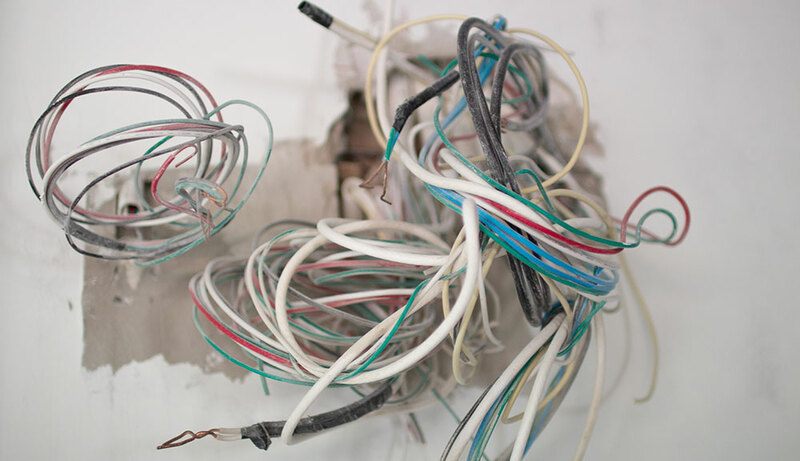 If possible, it’s best to locate fixtures, outlet boxes, switch boxes and wiring in interior walls. Why? The more electrical materials you place in the exterior skin, the more you are interrupting your home’s thermal envelope, which reduces the insulation value of your home. If you do opt for wiring in your exterior walls and SIPs, chases are a viable option. According to the Structural Insulated Panel Association (sips.org), electrical wires typically are pulled through pre-cut channels inside the core of the panels, which are added during the manufacturing process according to the electrical design of the home. The electrician cuts out and installs clip-on electrical boxes and then just feeds the wires through the chases. Once the wiring is complete, spray foam insulation is added to fill any gaps at the boxes and any channeling to prevent moisture migration and air infiltration. Keep in mind that there are other methods for running wiring, such as incorporating it within baseboard moldings. Baseboard chases allow you to add outlets wherever you’d like, because wiring is run behind the baseboard before outlets are added in the baseboard or in the panel above. Another great option that also allows for future expansion: Run all the wiring in the floor system, and use a flexible drill bit to chase the wires down below the subfloor. Obviously, HVAC ductwork and plumbing won’t run in an exterior SIP wall. Instead, many companies like to use manufactured joists for all floor systems, which make it easy to run ducts and plumbing horizontally throughout your home. Air is transferred from floor to floor by chase walls placed in the home’s floor plan. As is the case with wiring, it’s a smart idea to get your HVAC subcontractor involved in the home’s planning early on. Also, all plumbing should be located inside the interior walls and floor system, so repairing or altering the plumbing is easily accessible without major disruption to your home’s structural envelope or your wallet.